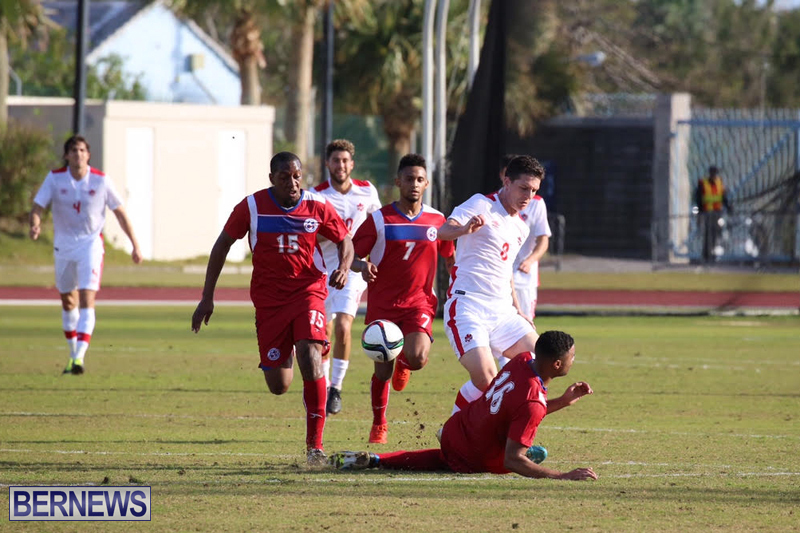 Bermuda matched up against Canada at the National Sports Centre in a football international friendly yesterday [Jan 22], with the six goals produced in the match captured on video. 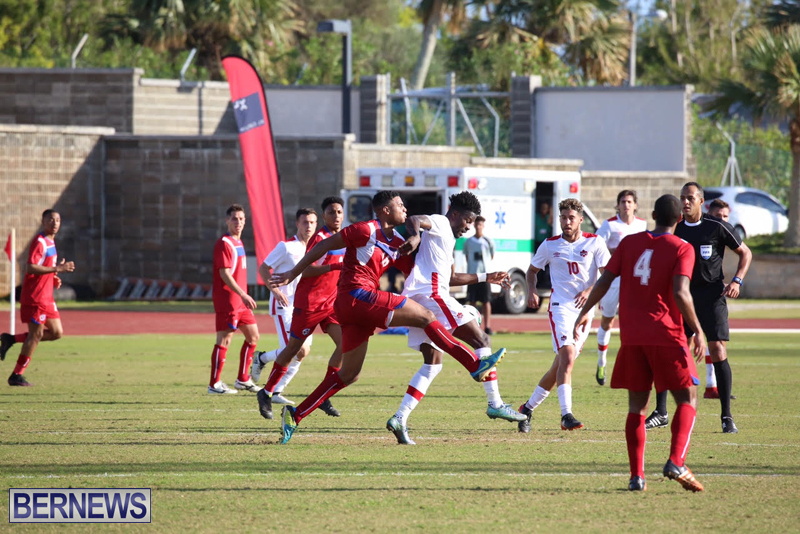 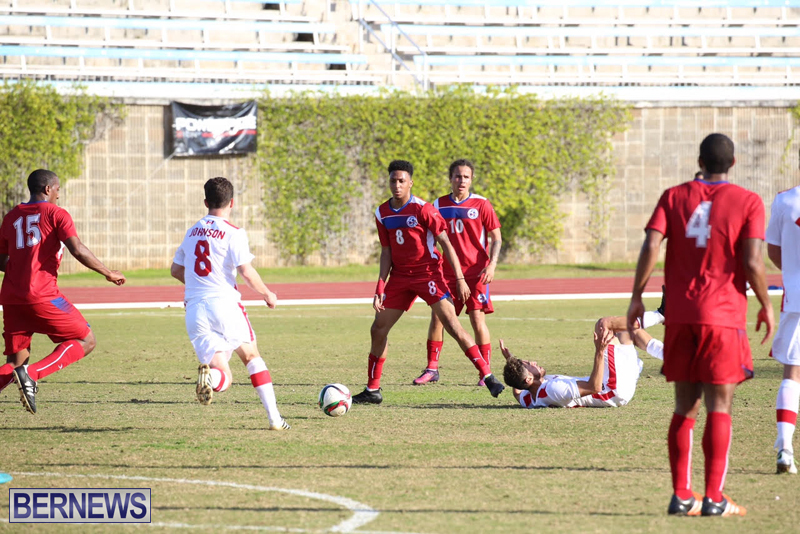 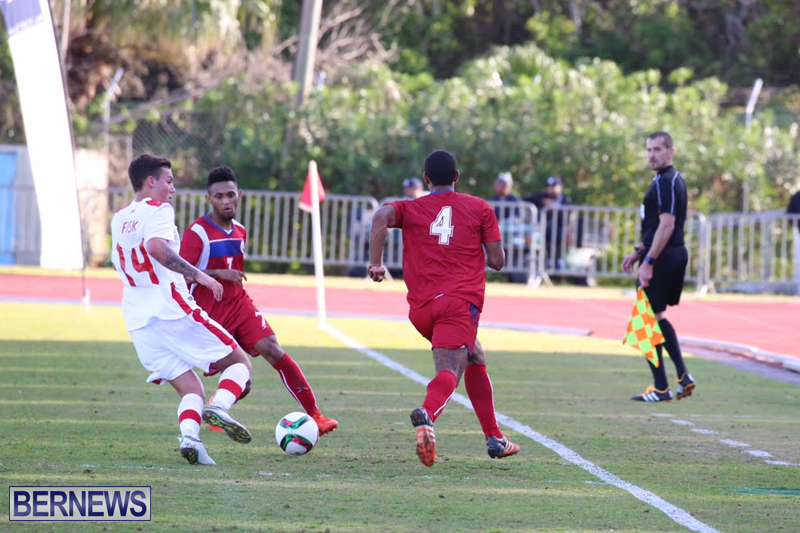 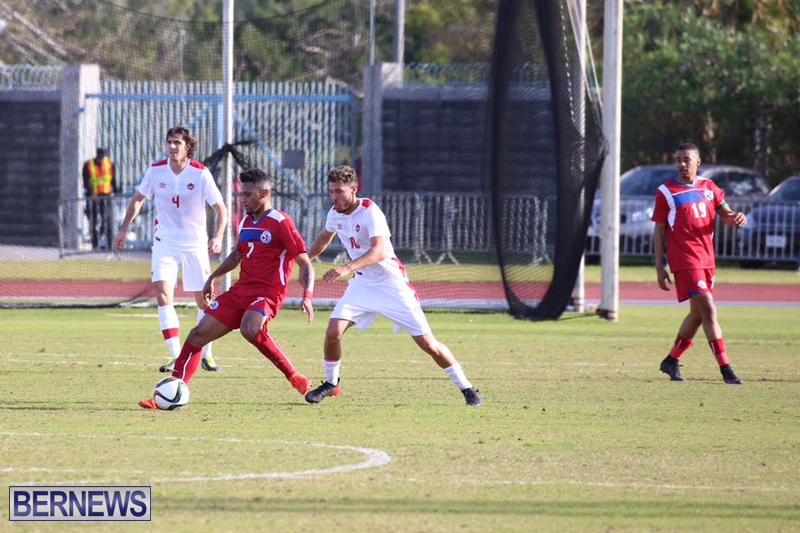 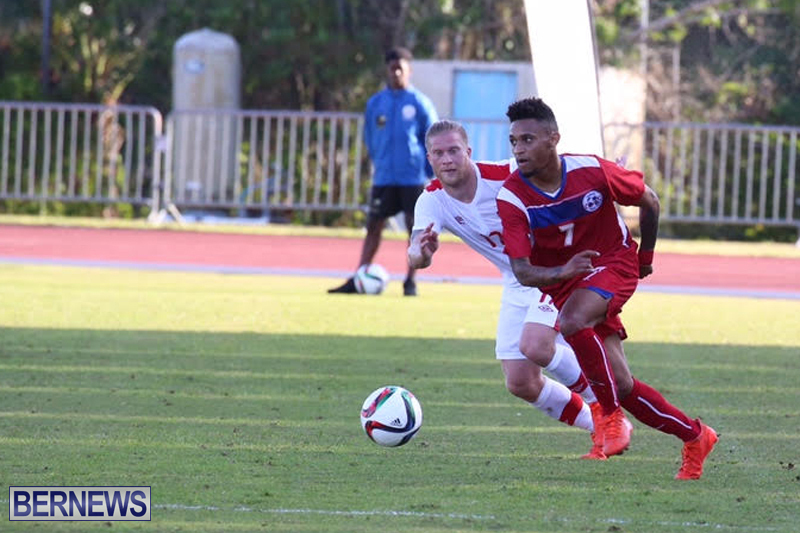 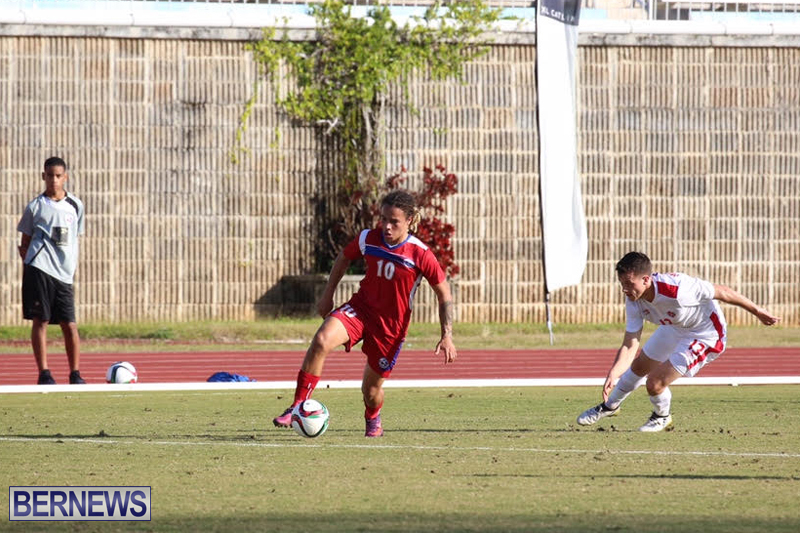 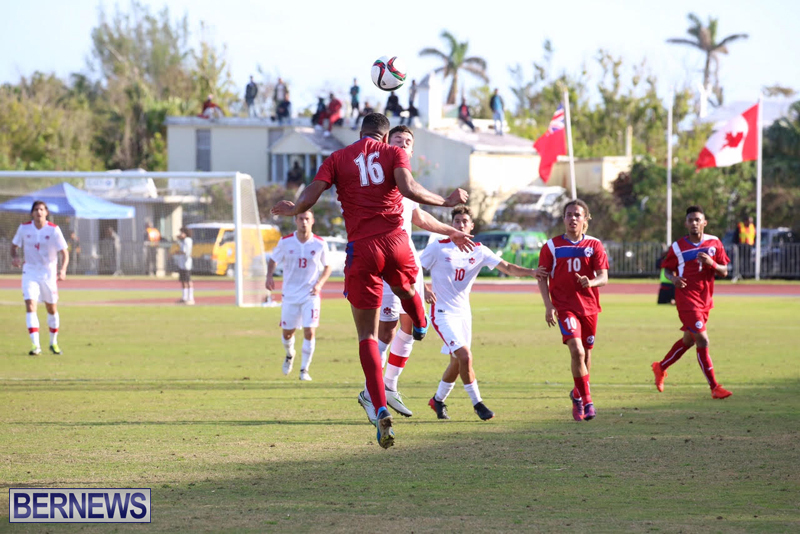 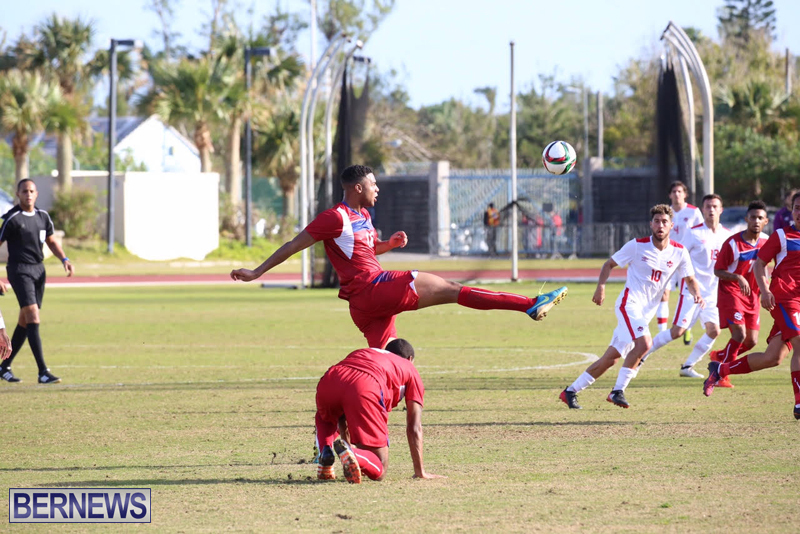 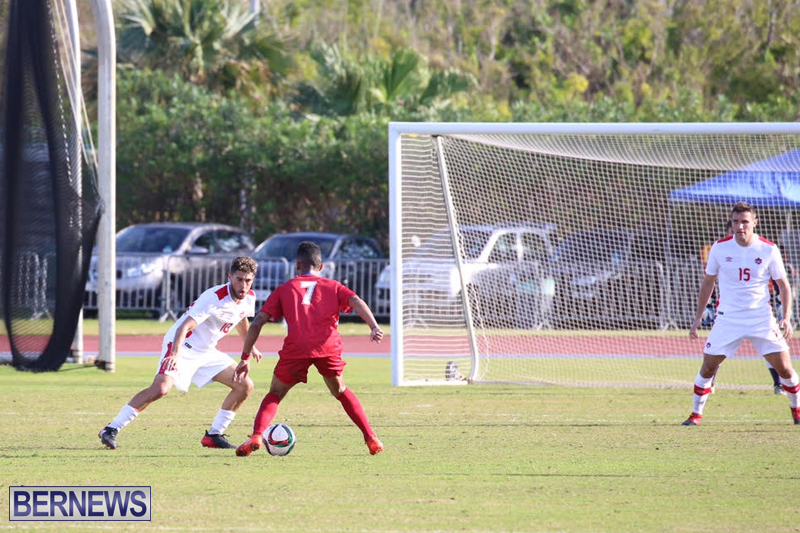 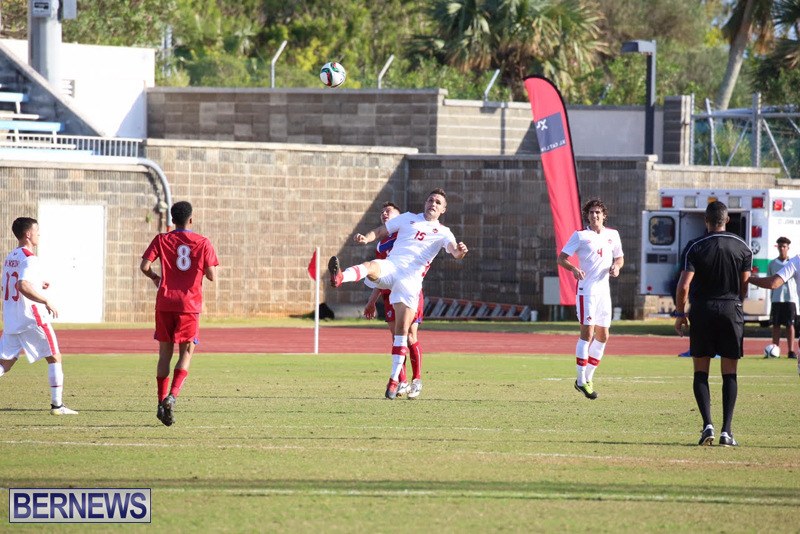 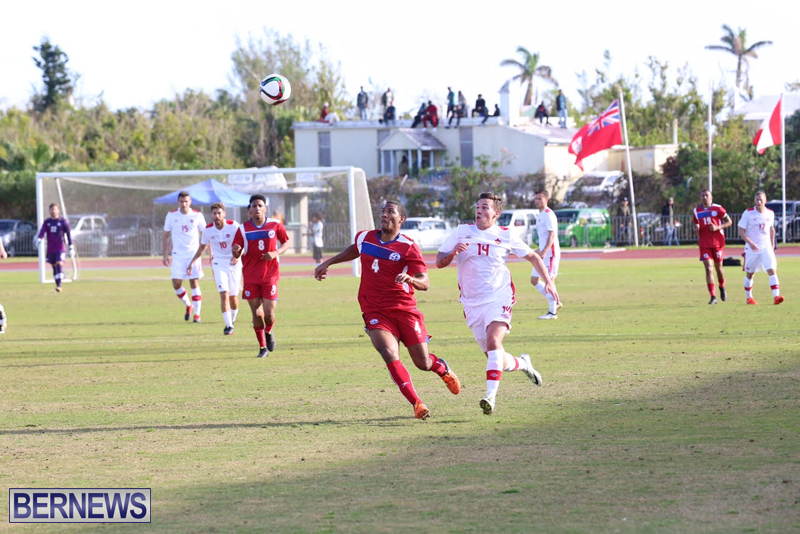 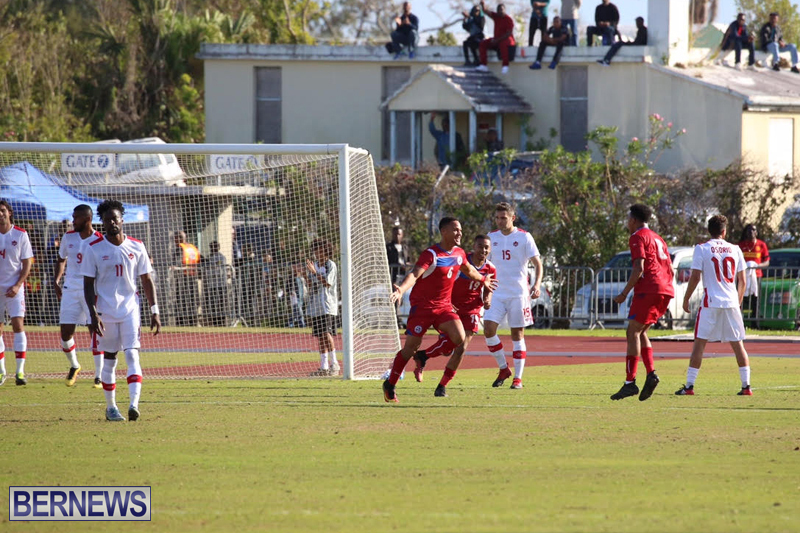 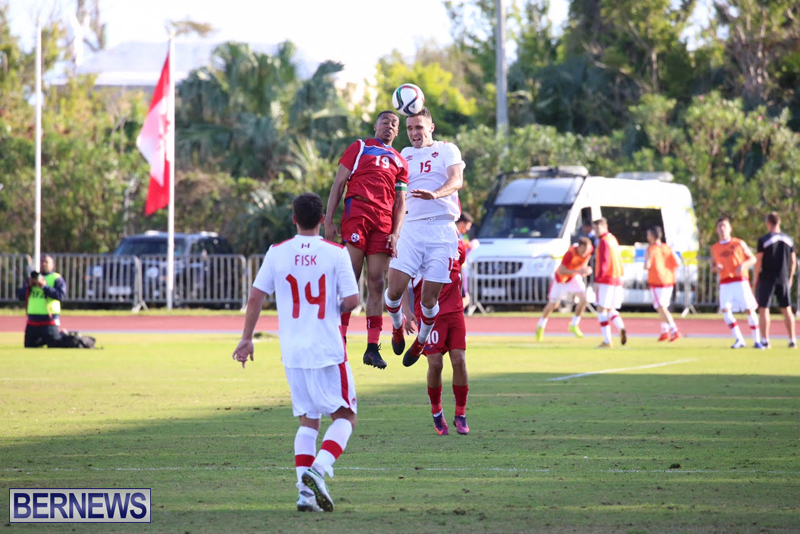 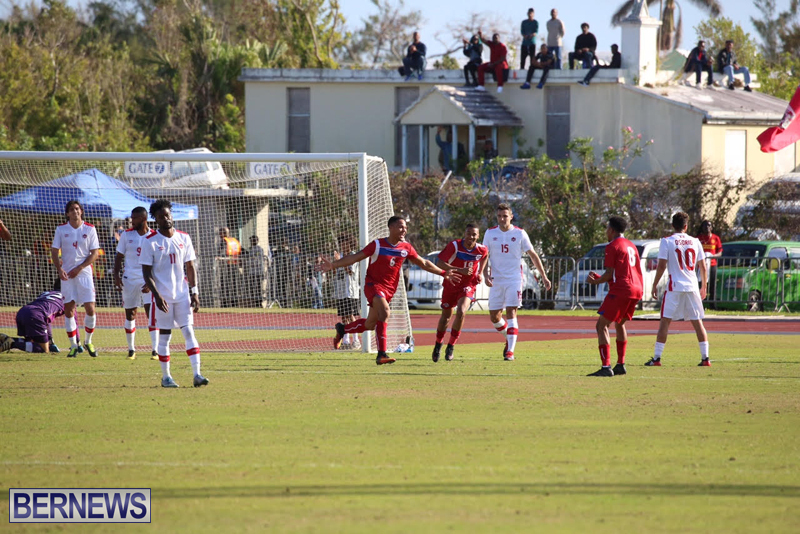 In the 11th minute Jalen Harvey scored to put Bermuda up 1-0, before Canada evened the match in the 22nd minute with a goal by Jonathan Osorio. 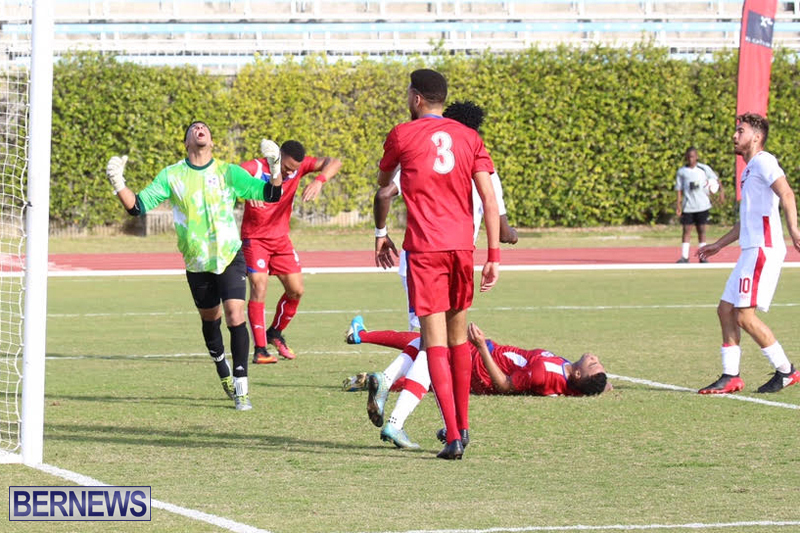 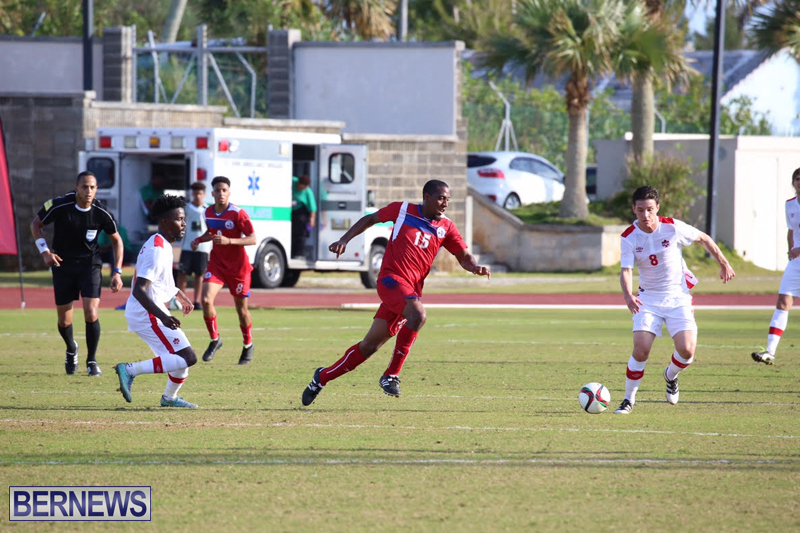 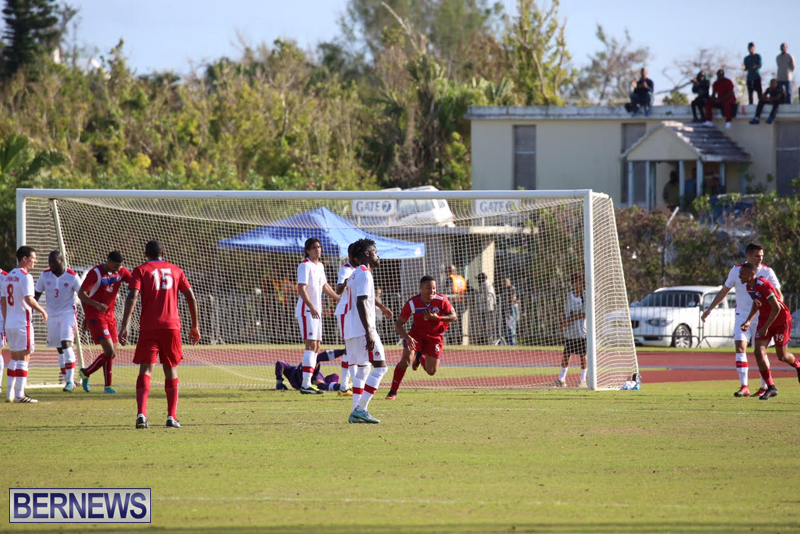 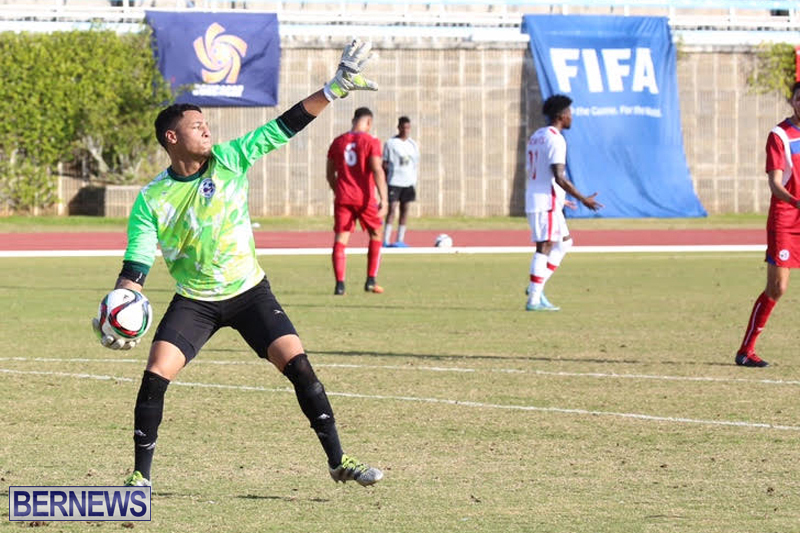 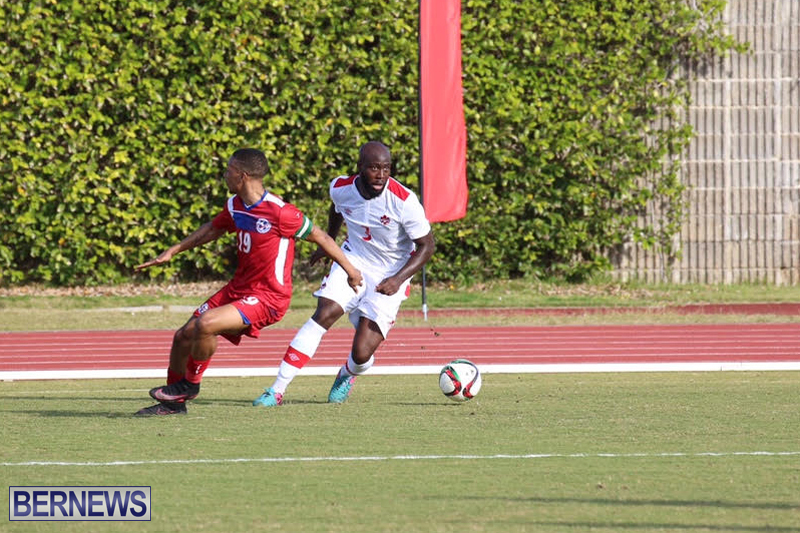 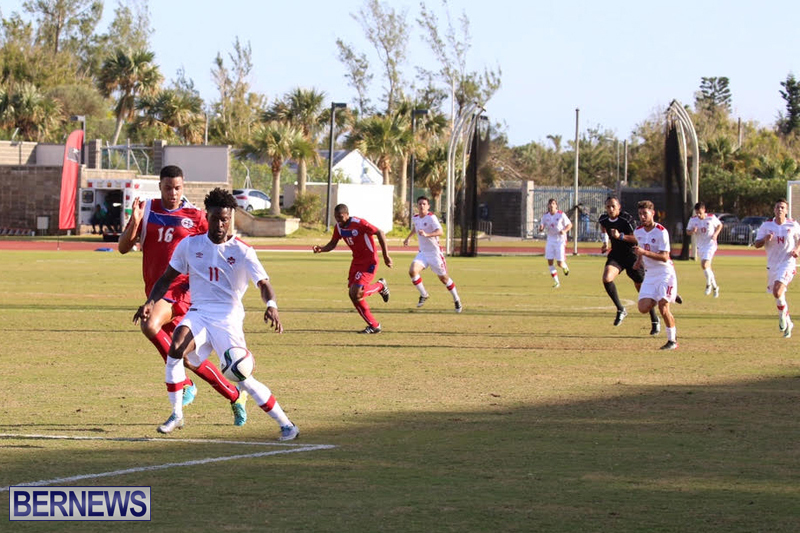 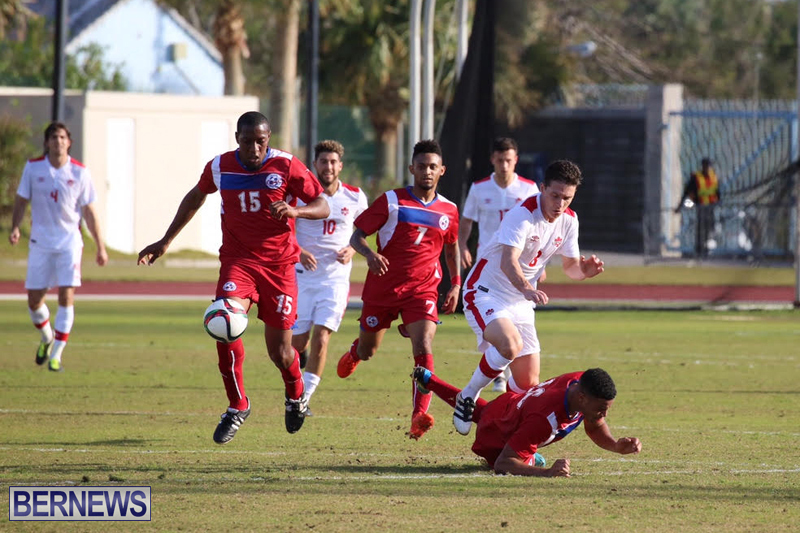 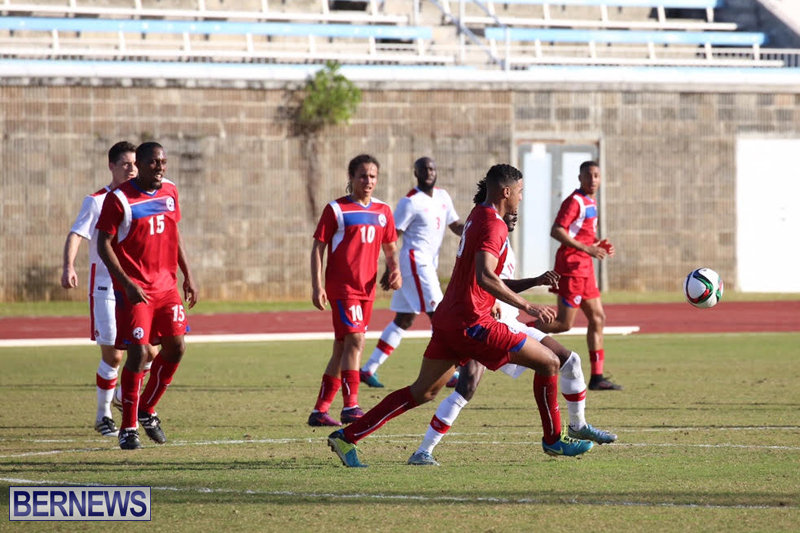 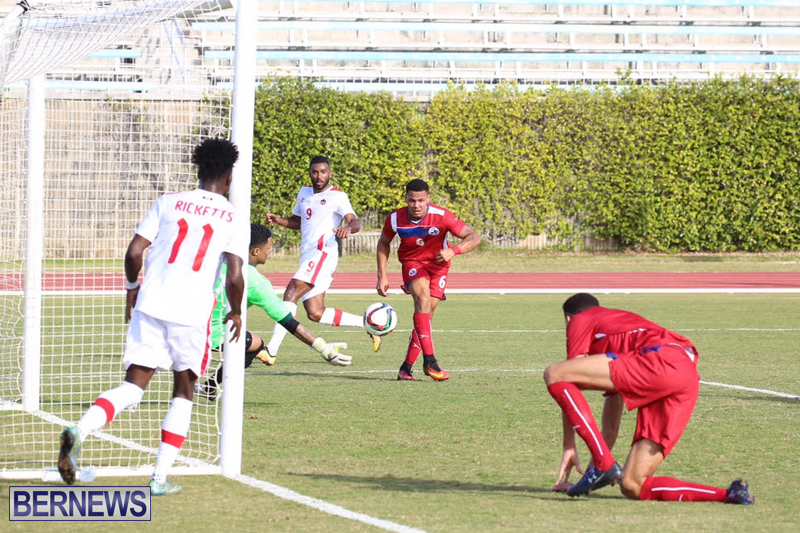 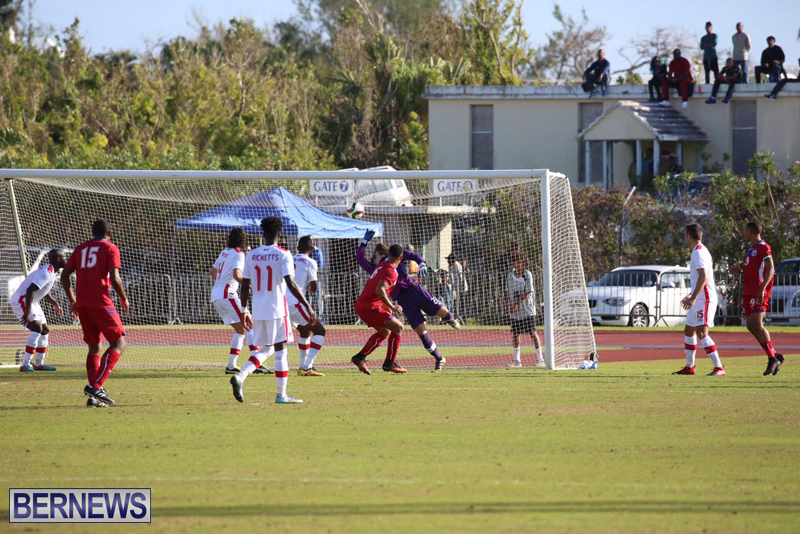 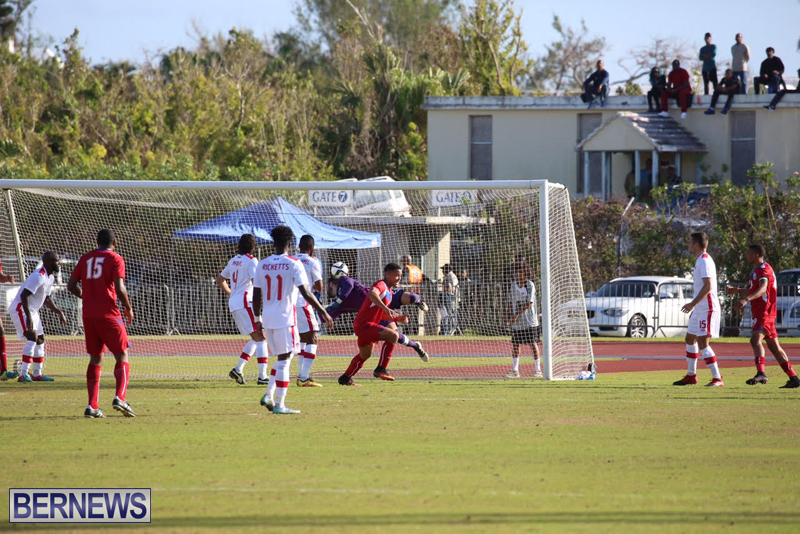 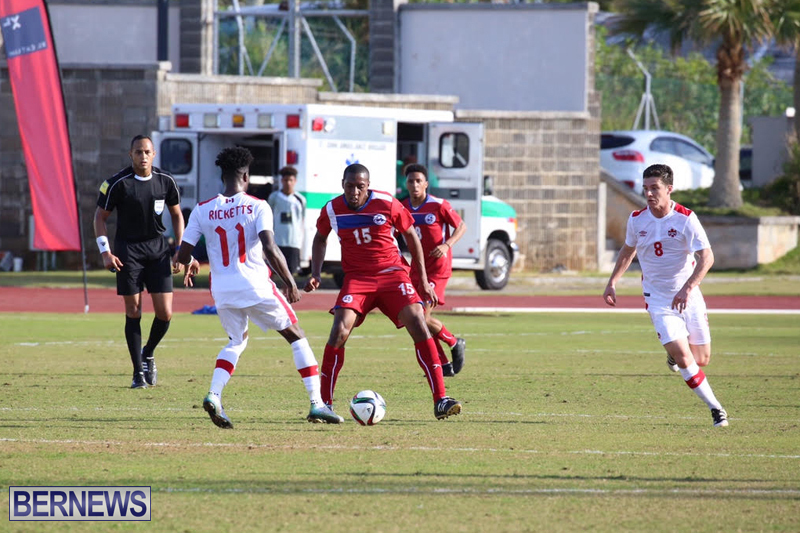 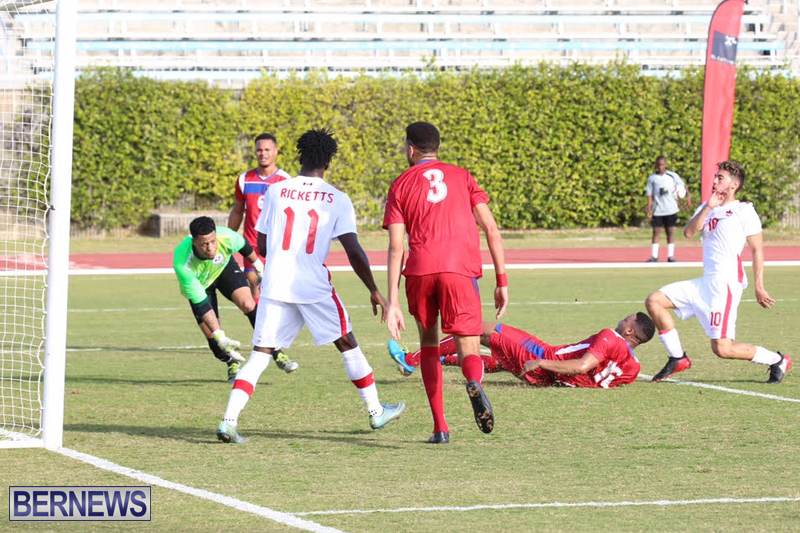 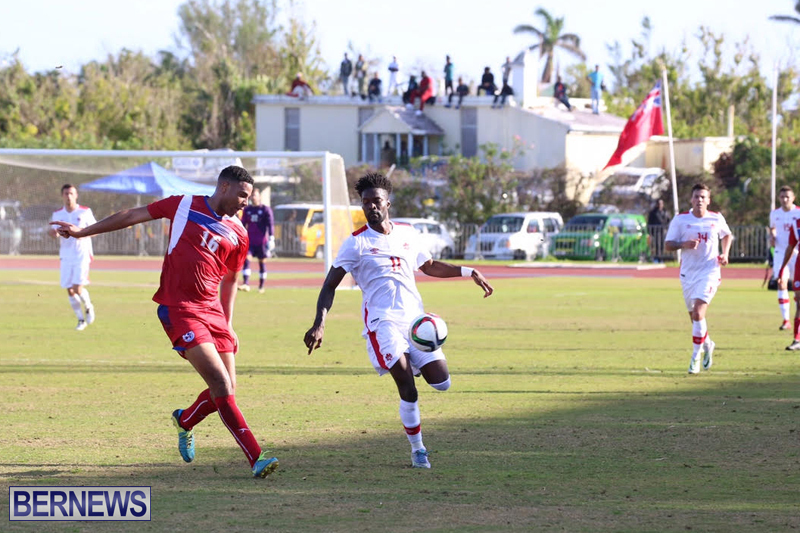 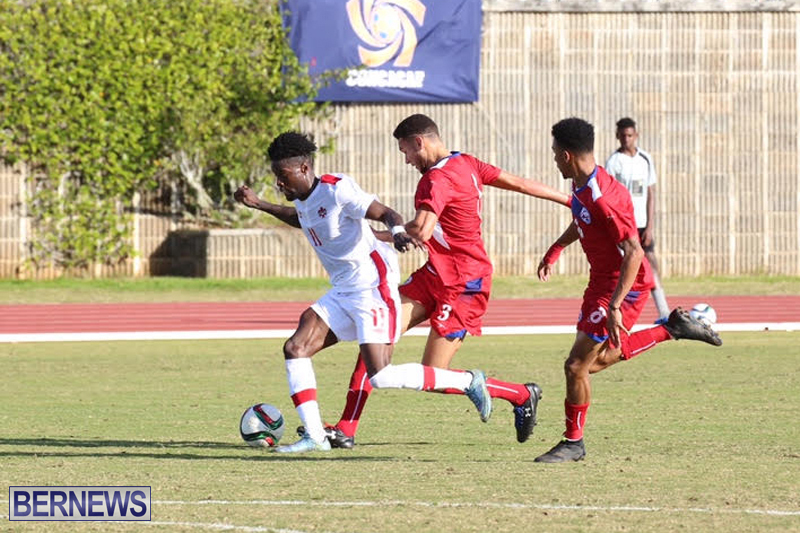 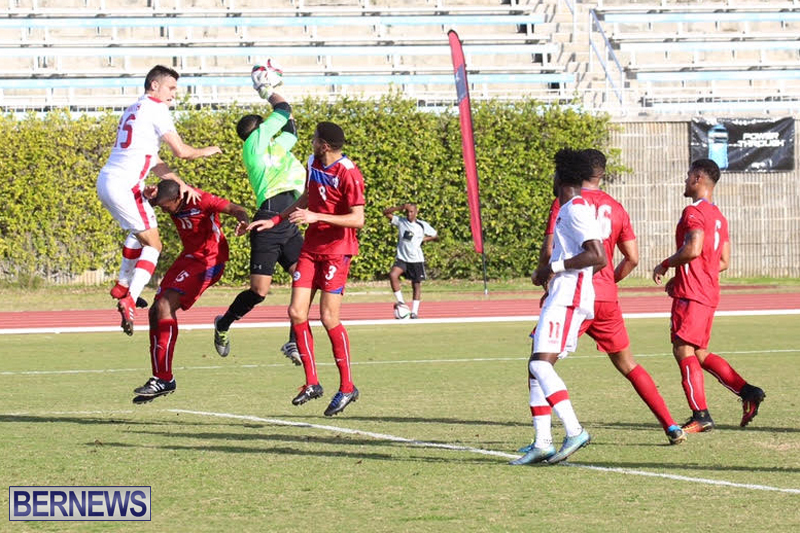 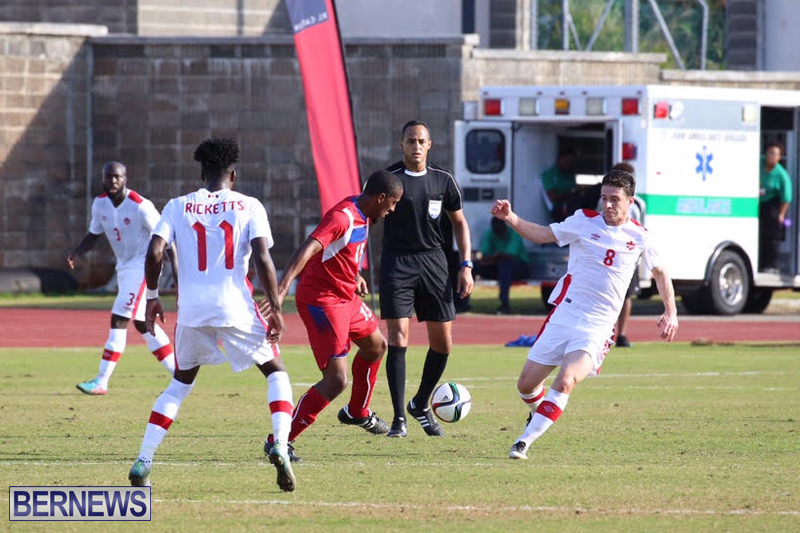 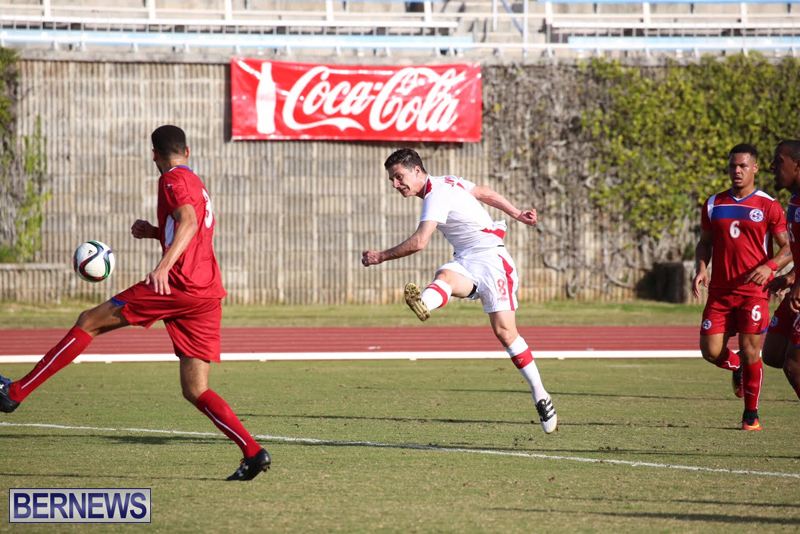 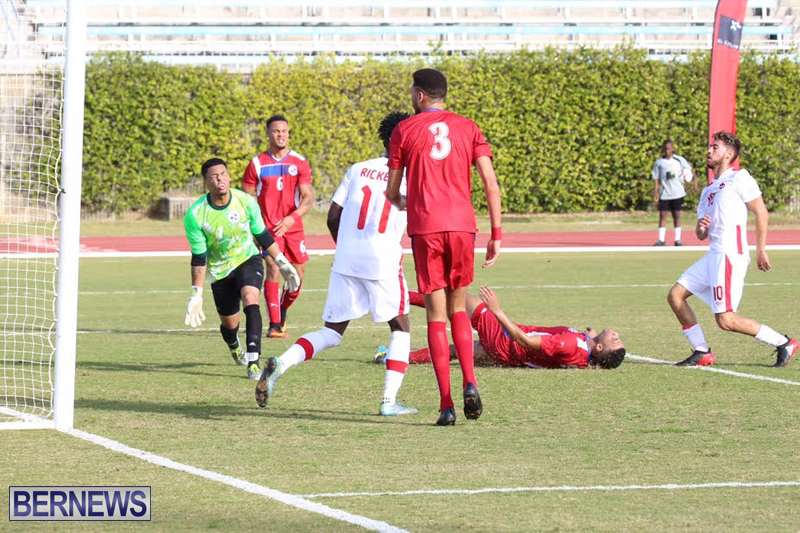 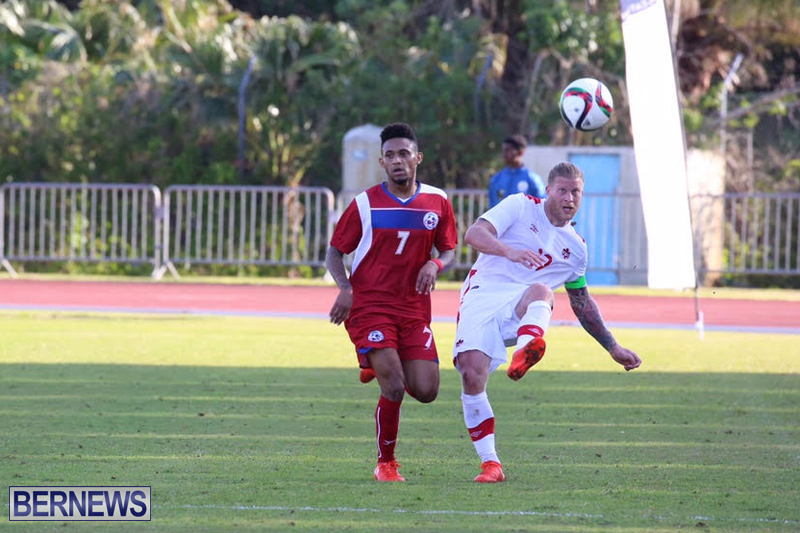 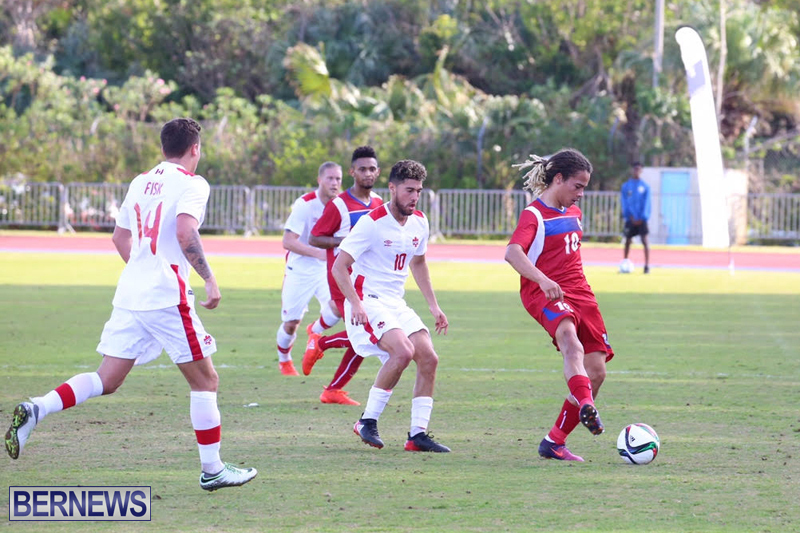 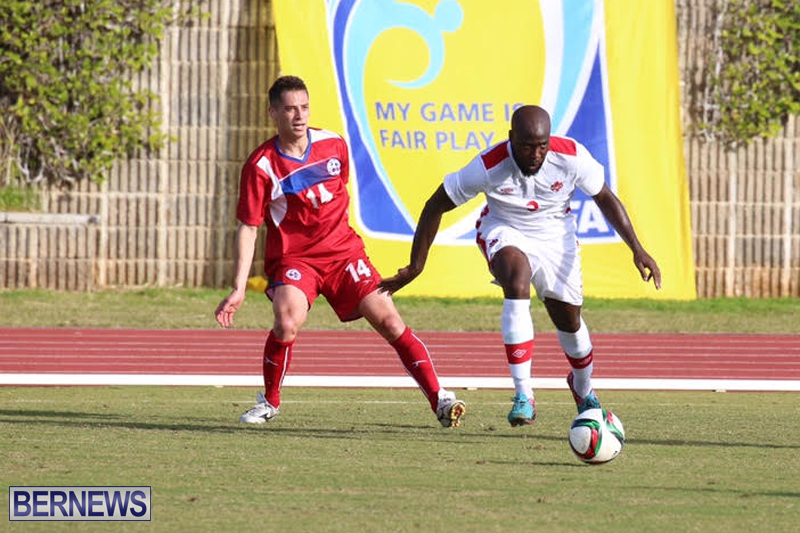 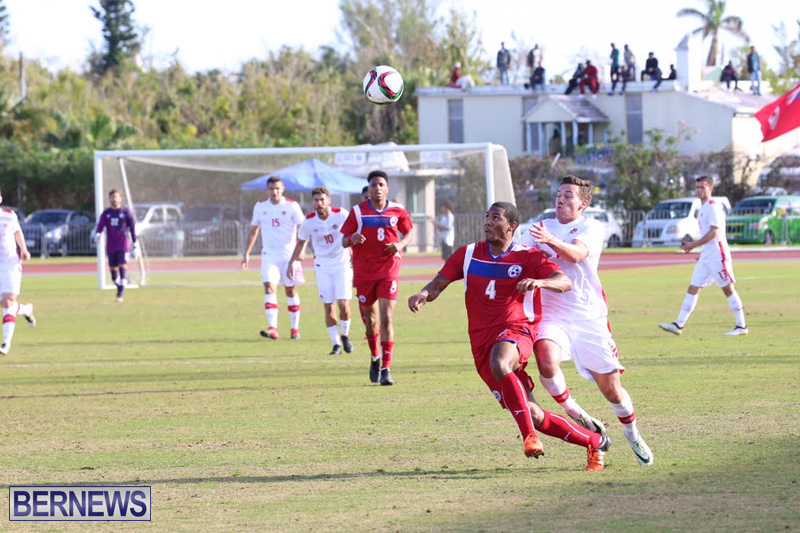 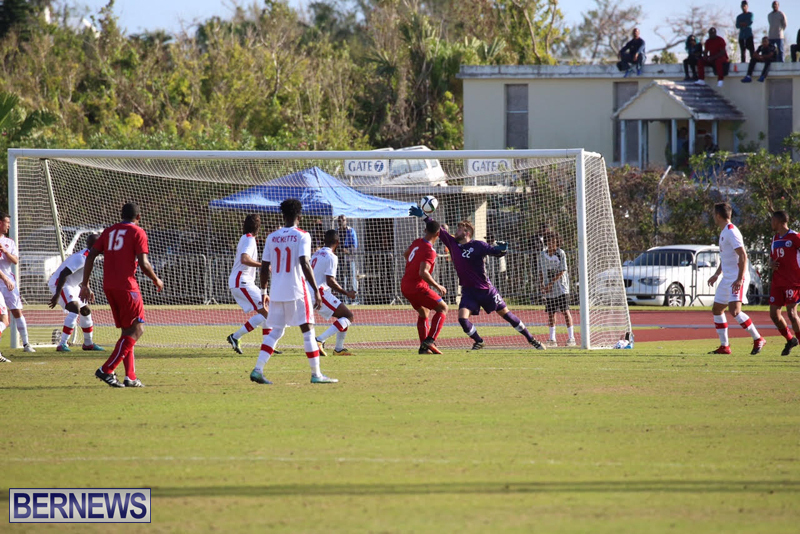 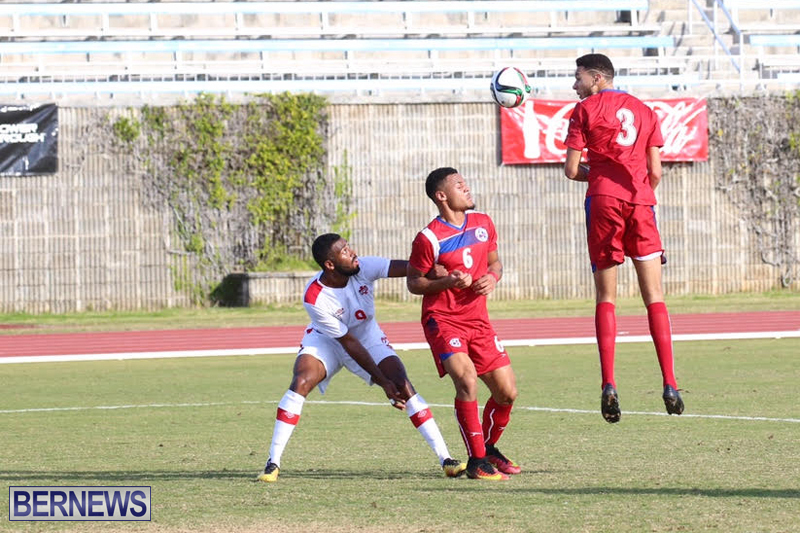 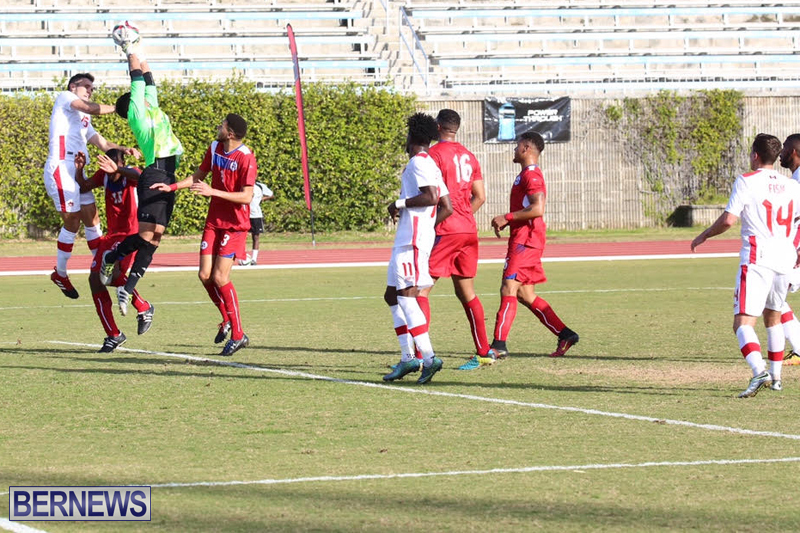 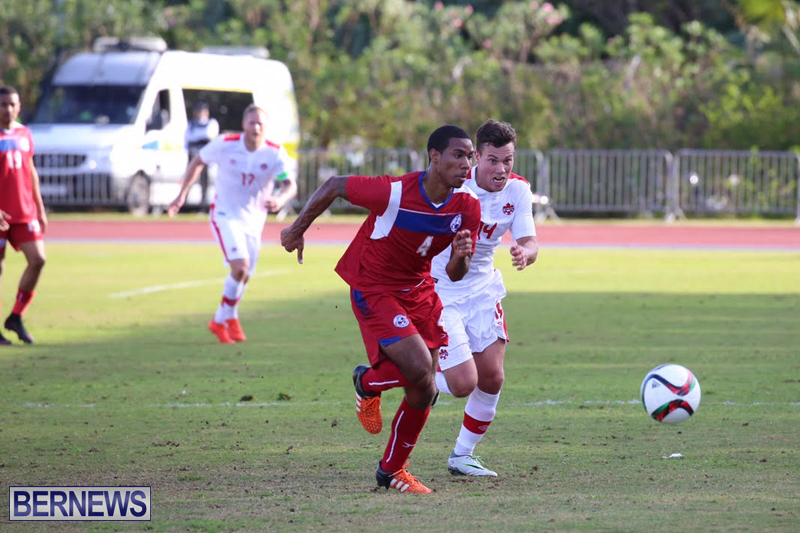 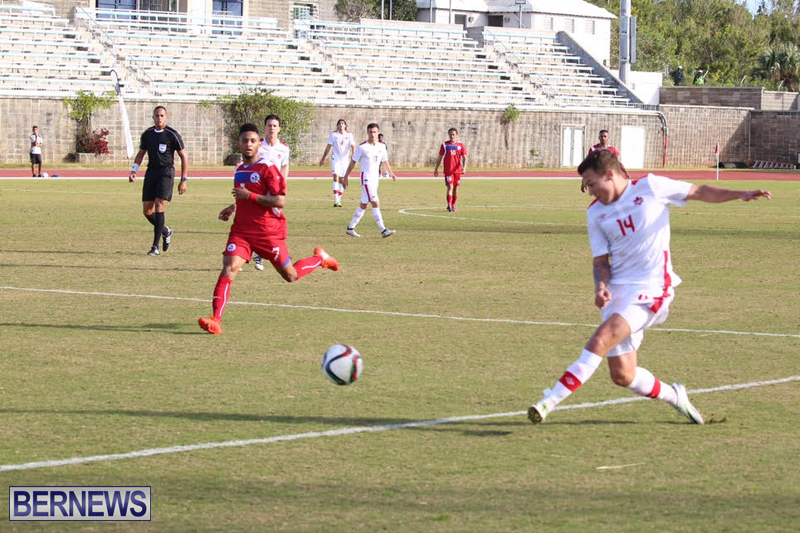 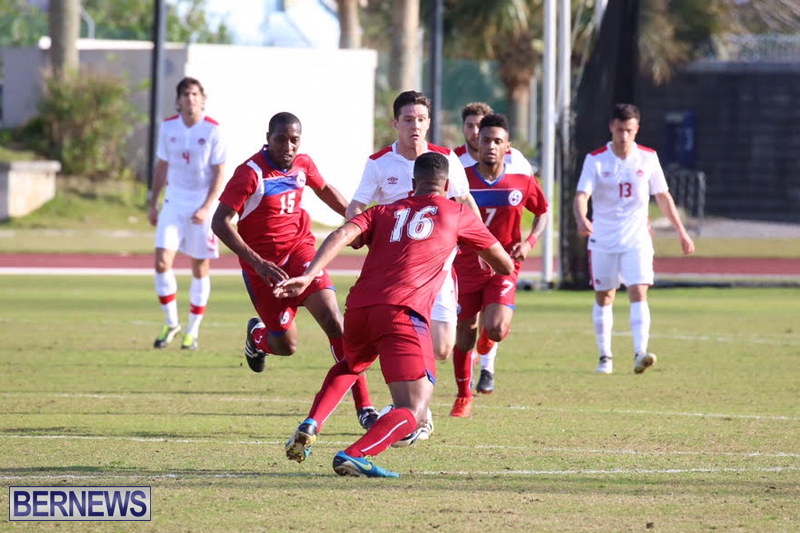 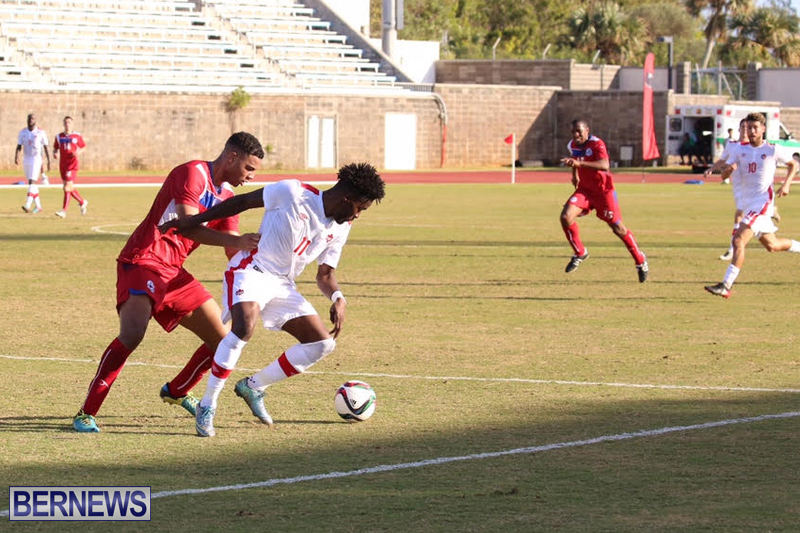 In the 24th minute, Tosaint Ricketts scored to put Canada up 2-1 before Bermuda evened things back up in the 55th minute with a goal by Lejuan Simmons. 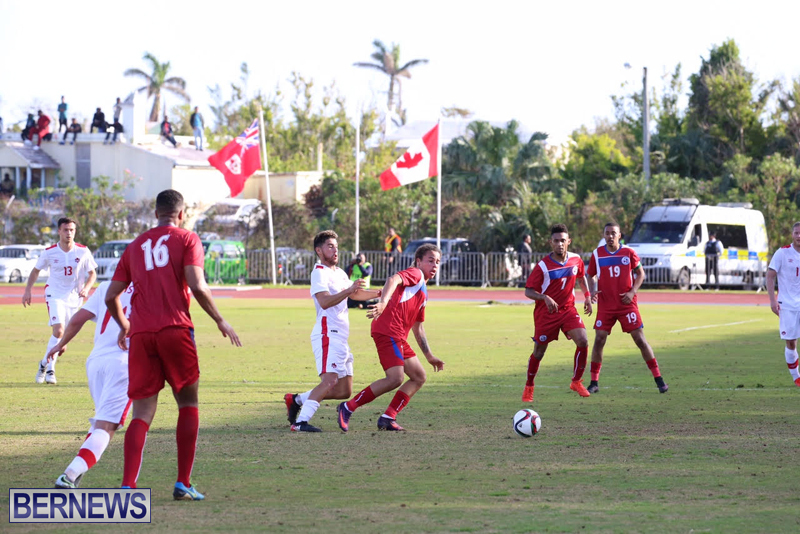 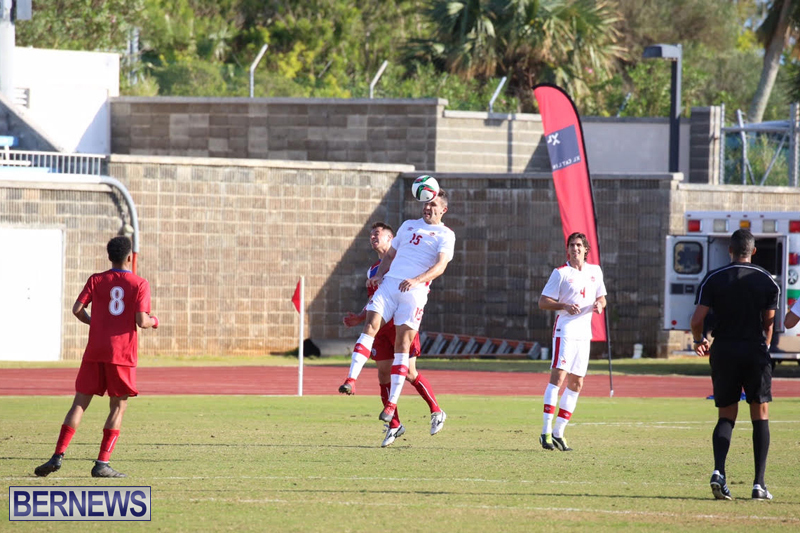 In the 76th minute, Jay Chapman scored to put Canada up 3-2, assisted by Kyle Bekker, and in the 85th minute Anthony Jackson-Hamel scored to give Canada a 4-2 lead, which they held to the final whistle. 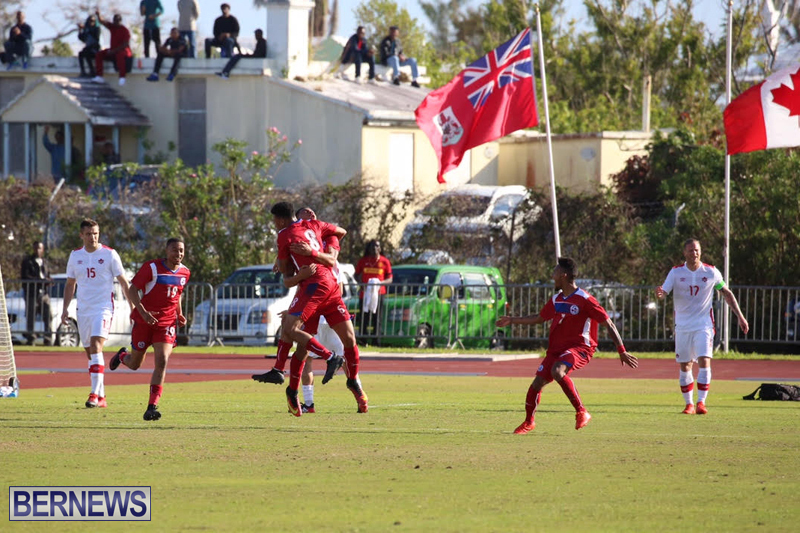 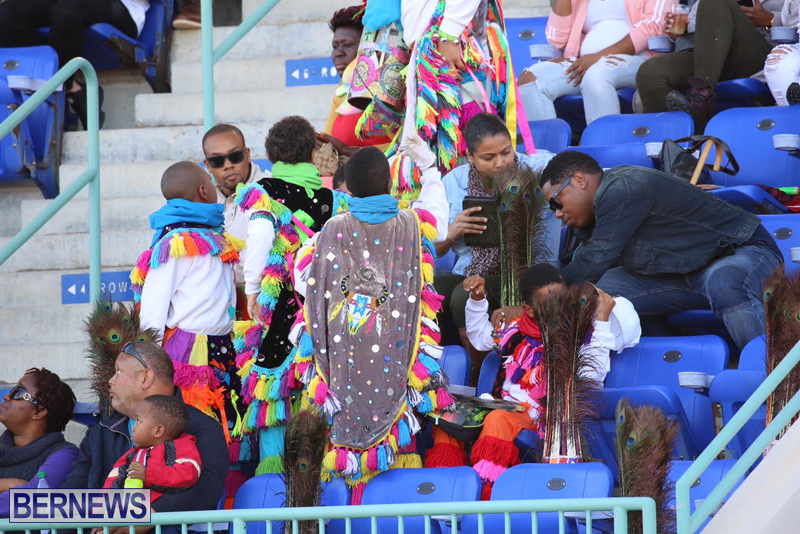 The National Sports Center drew a crowd of 1,812 who came out to support Bermuda’s team, which consisted of Jahquil Hill, Ajai Daniels, Roger Lee, Jalen Harvey, Danté Leverock, Zeiko White, William White, Killian Elkinson, Reggie Lambe, Osagi Bascome, Shayne Hollis, Azende Furbert, Willie Clemons, Oneko Lowe, Lejuan Simmons, Rai Sampson, Zenawi Bowen, Mikiel Thomas, Jahkari Furbert and Keishon Bean.